Got this on sale and what a bargain. A regular Chablis with the colour and concentration of a 1er Cru. Dom Defaix again showing class. 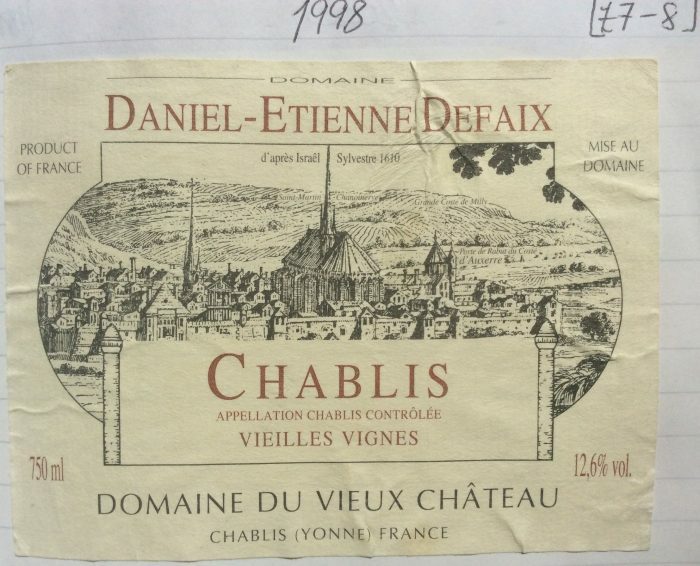 The vieilles vignes definitely make a difference to produce the best value Chablis I’ve tasted. Mid-gold colour. Classic buttery aromas but backed with some firm tropical fruit notes.